While London bakes in the sun, we are having a very mild winter. For all the people out on the beach today it could have been a summer’s day. 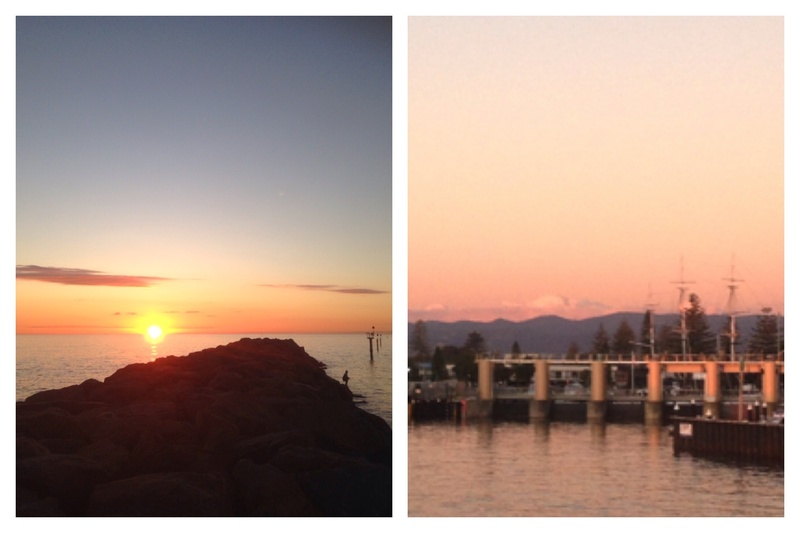 These two views at the moment of sunset from the end of the Glenelg Marina over Holdfast Bay and towards the Adelaide Hills. Like Los Angeles, Adelaide lies between the hills and the ocean, westward facing, making for brilliant sunsets almost daily.